From the age of 12 my vision for my life involved being a singer and musician. As a child, I would imagine I was standing before a large crowd singing for them, making them laugh, and making them happy. Of course, this was not a vision I could realize overnight. Instead, the road to where I am today required many years of hard work and artistic growth. 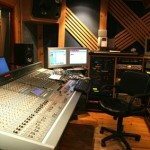 Our studio started in 2005 as the result of a tragic accident. I fell to the ground from the roof of a three-story house. I should not be alive today. The injury changed my life. I had no way to earn a living and no direction. I was unable to walk for over a year, but at some point during that year, I began to get past the shock and stop wondering why it had happened to me or what was next for my life. I began to view the accident as a blessing instead of a barrier. 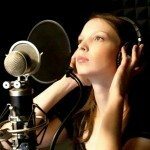 My lifelong desire was to become a professional performer. 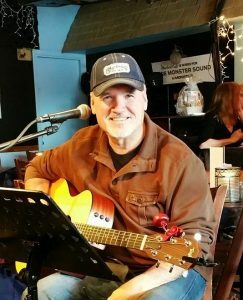 I wanted to become a singer, songwriter and musician, and I traveled and performed throughout the United States for over two decades. I spent many years working for the Opryland Talent Agency here in Nashville. Music has been my life and my calling since the age of twelve. However, the responsibility of a new family, discovering my faith and eventually, my injuries from the accident changed all of that. After so many years on the road, I put my life as a musician and performer on hold and devoted myself to a new career. While the accident caused great damage to my body, it also enhanced my vision for the future. It was a blessing in disguise – the boost I needed to change the direction of my dream. Advances in technology have changed the way we record music, and in turn, it changed my life. I was able to use my computer and a small audio interface to record guitar and vocal demos. 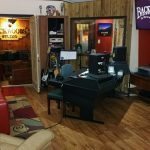 With my experience and background as a performer, songwriter, producer and engineer now with a full production studio, I can now focus my energy on helping others achieve their dreams and goals while also serving my passion to create good music. I was born in Baton Rouge, Louisiana, and grew up in Mobile, Alabama. In 1978, I launched my professional career, performing with bands throughout the South. 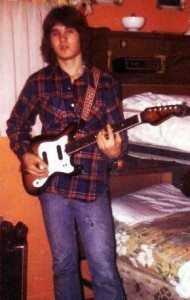 I was a side man in those days, playing guitar and banjo. And all through my early years as a musician, I planned on someday making the big move to Nashville. 1989 was a pivotal year for me. 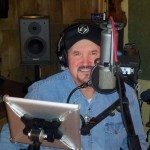 It was then I recorded “Three Wishes,” my first album, and began opening for Willie Nelson, Ed Bruce, Dan Seals, Sawyer Brown and other greats. I’ll never forget the night I played the Holiday Inn in Bryan College Station, and a man came up to me and said, “Hey, you’re pretty good!” That man was Tom T. Hall. Tom T. proceeded to invite me to open for him in Fort Hood, Texas. That Fort Hood show was phenomenal, and Tom T. remains one of my inspirations. In fact, it was after I spoke with him following the Fort Hood show that I finally decided to journey up to Nashville. My 1989 vacation to Nashville changed my life. 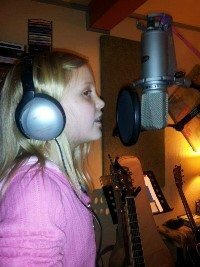 Above the legendary Grand Old Opry I saw a sign: “Opryland Talent Agency – Holding Auditions.” It was too exciting of an opportunity to pass…so they ended up hiring me! Specifically, the agency asked me to return in May 1990 to entertain on the General Jackson Showboat which is still in operation today. In Nashvil le I performed six days a week; I worked at Opryland Theme Park and Opryland Hotel in addition to the General Jackson Showboat. It was a tremendous experience, ideal for networking. 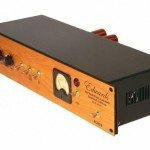 It also helped me develop my own unique sound, a mixture of the musical styles I’ve loved since childhood: country, folk, blues and bluegrass. Sadly, Opryland Theme Park closed its doors in 1997. I decided to take a break from music and try new endeavors. I moved back to Texas, and by 1998 was serving as a staff member at International Gospel Outreach (IGO), a missionary agency based in Semmes, Alabama. This position allowed me to train people about to leave for missionary work in such places as Africa, Cuba, Mexico, Guatemala and Honduras. I stayed with IGO for four years, and it was a fantastic place to work. 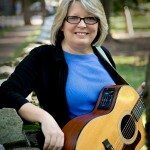 They even let me travel around as a “muscianary” – that is, a musical missionary! During this period, I also graduated from the International College of Bible Theology. After IGO, I spent three years as an audio technician with a sound reinforcement company called DB Enterprise. As fate would have it – and it definitely seemed like fate – my business partner Greg James asked me to start a new DB Enterprise branch in Nashville. I agreed immediately. 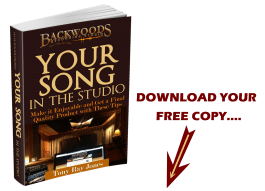 In Nashville, I worked as an audio engineer, and my wife Patty and I also started Backwoods Recording Studio, which was headquartered in the kitchen of our house. 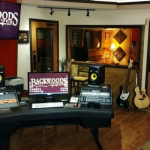 I’m thrilled to spend my time these days writing songs and producing demos for Backwoods Recording Studio’s many gifted artists. 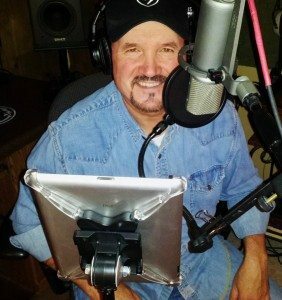 I am now dedicated to using my musical knowledge, and my knowledge of the industry, to help others realize their musical dreams. 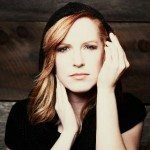 Below you can find some of the songs I have written or co -written with friends. They are all available for download – just click on the BUY” button. 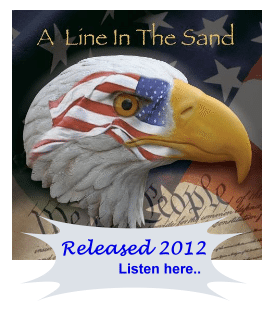 You can also listen to samples of our work here. Enjoy! “Someday” is not a day of the week!